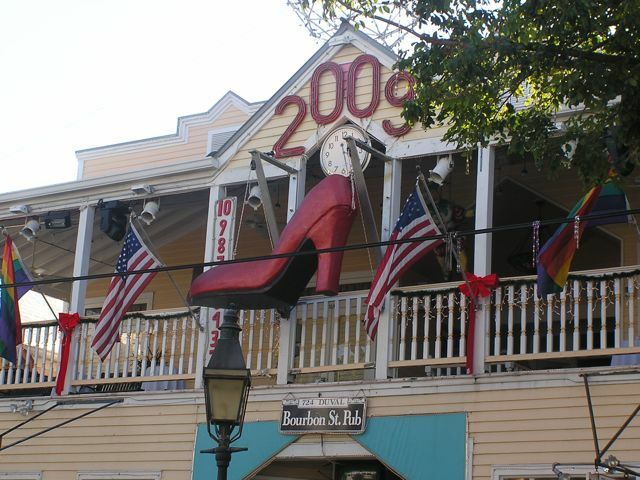 Of all the places I’ve spent New Years, nothing tops Key West, Florida, the southernmost point in the continental USA and the western tip of the coral cay archipelago off the southeast coast of Florida, accessible by one of the most scenic highways in the world, the 127-mile overseas highway. 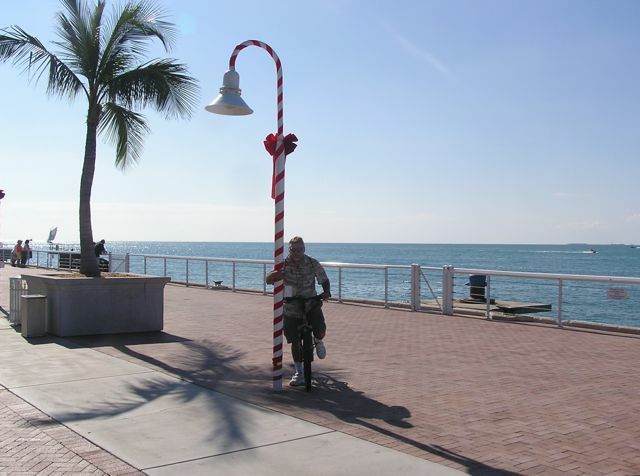 Accommodations can be expensive and we stayed in an RV Park (expensive as well) on the “other side of the tracks” – Stock Island – but just across a short bridge from the main island of Key West and its fabulous waterfront bike trails. 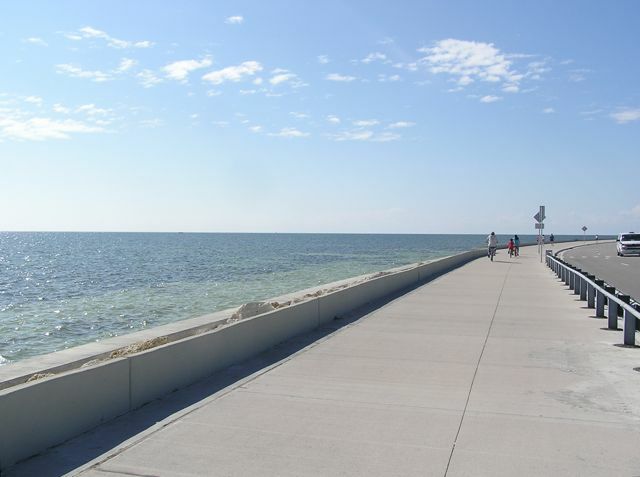 Fabulous paved trails run along the waterfront throughout much of Key West, making for euphoric easy scenic cycling, right from where we stayed on Stock Island. Everyone gathers to watch the sunset from this southernmost point in the continental US. 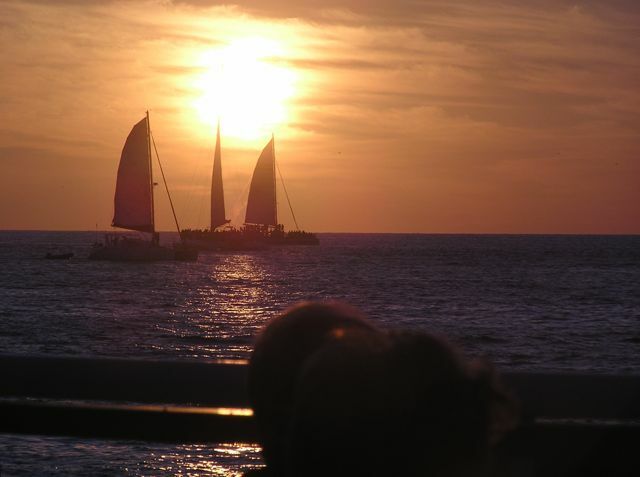 Besides sailing excursions, Key West has become a popular cruise ship stop. If your cruise stops here, make sure to rent a bike! 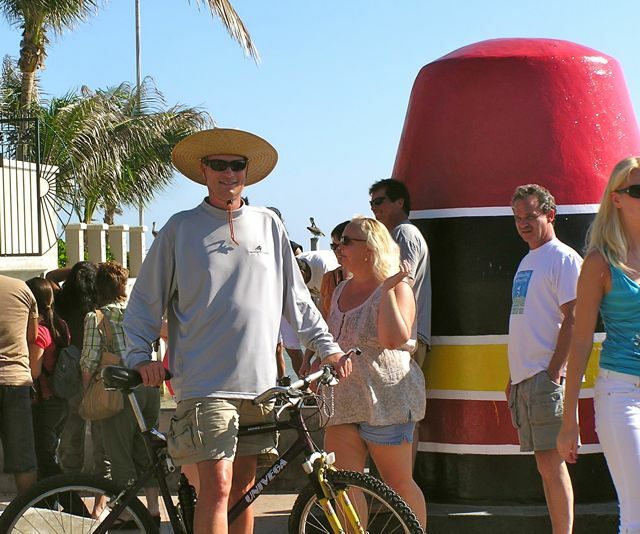 The quaint town of Ernest Hemmingway meets Jimmy Buffett is very bike friendly. Even though there’s plenty of auto traffic, bikes and scooters outnumber cars in town. 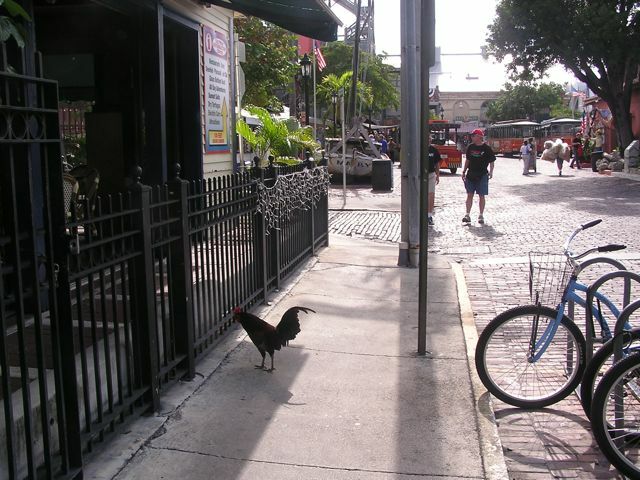 And we started the new year in a relaxed, happy, Key West state of mind on our bikes, cycling to delicious restaurants in perfect weather. And of course a ride to the monument for the southernmost point in the continental US.